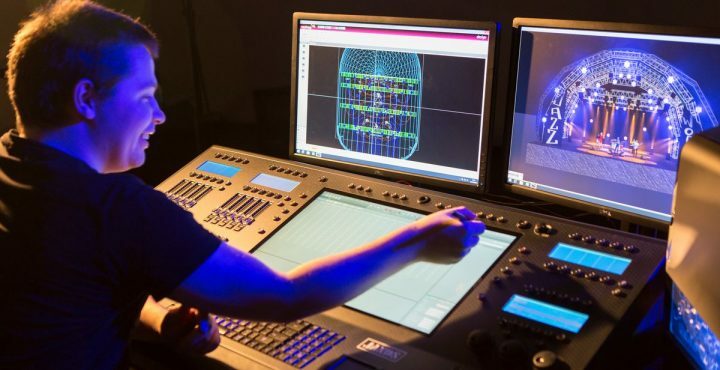 There’s no ignoring the fact that PLASA has had a turbulent last few years, with the opinions of both visitors and exhibitors divided over whether or not London can sustain two event technology shows in the current climate. However, the move from Excel back to Kensington’s London Olympia back in 2016 has certainly worked in the show’s favour. There’s a strong sense that the show has re-focussed its efforts and attention, and although the number of visitors through the doors might not reflect those seen back in the show’s heyday back at Earl’s Court, there’s an argument to be made for having less of the right type of visitor, rather than more of the wrong type. 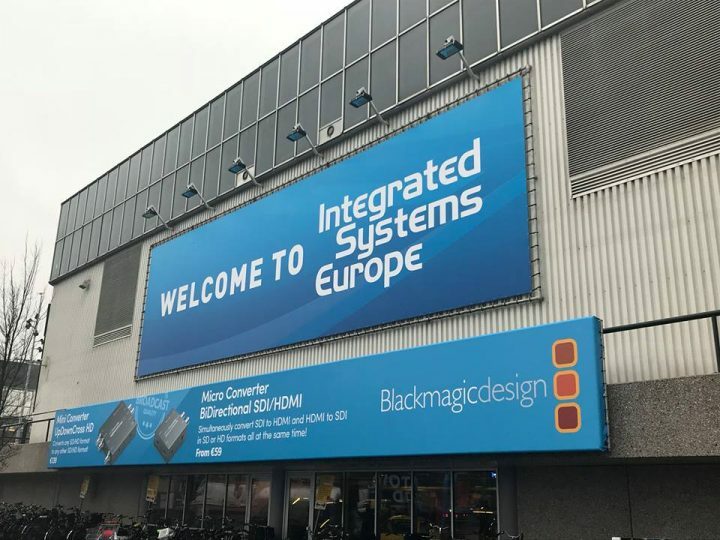 That said, those who did attend the show will certainly notice that the trend for releasing new products at PLASA seems to have been abandoned by the majority of companies, with many purely displaying their product lineups on the stands of their UK distributors, rather than hosting their own. Of course, there were a few exceptions to this, so read on for our highlights of PLASA 2018. Robe bucked the trend of “scaled back” presence at PLASA 2018, with the worldwide debut of Super Spikie, billed as a supercharged version of the popular Spikie moving head. 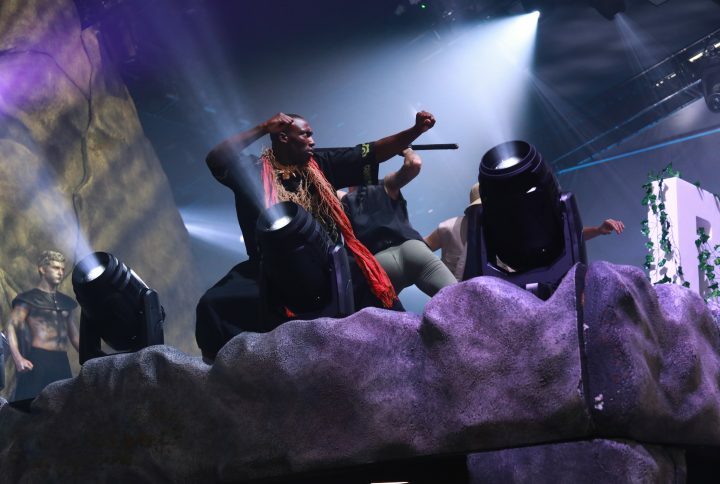 The product was presented as part of a completely new show theme for Robe, launched as the first of a trilogy of shows that the company plans to continue at LDI and next year’s Prolight+Sound. 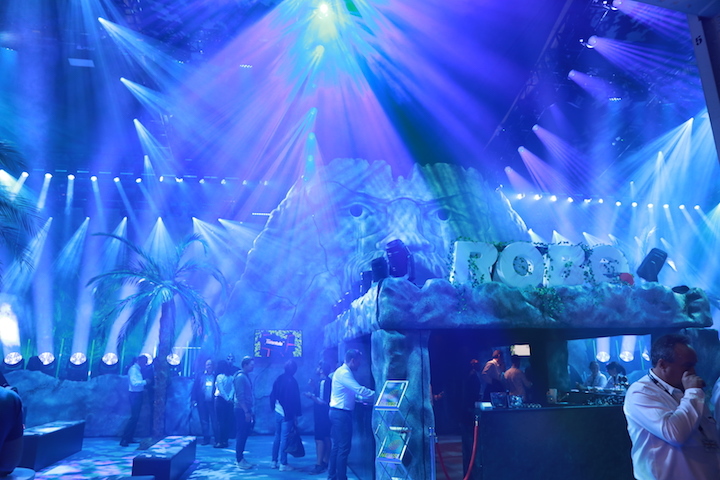 The “rainforest temple” vibe of the scenery and lighting was complimented by water effects, demonstrating the potential applications of Robe’s IP-rated products. Focussing on Super Spikie, we have a fixture that is able to produce a much more powerful and “fatter” beam than the original Spikie, which when combined with new rotating gobos, make the fixture perfectly suited for producing impressive aerial effects as well as bold, strong beams. These beams can be split by a three-facet circular prism in order to further spread the effect produced. Powered by a 250w RGBW LED source, the fixture can be zoomed from 3.5 to 35 degrees in beam mode. When in wash mode, this shifts to 5 to 42 degrees, a switch which can be made incredibly quickly, so as not to interrupt performance. The feature set is completed with continuous 360-degree pan and tilt, as well as highly-efficient colour mixing with a CTO range between 2,700K and 8,000K. Alongside SuperSpikie, Robe also launched BMFL FollowSpot LT at the show, a brighter ‘Long Throw’ version of their standard BMFL FollowSpot. A refined optical system ensures a tighter beam spread over longer distances, alongside all the popular features that users know and love from the original BMFL FollowSpot. The tropical theme of the show also gave Robe the perfect platform to showcase iParFect, the first in a series of upcoming IP-rated luminaires from the company. 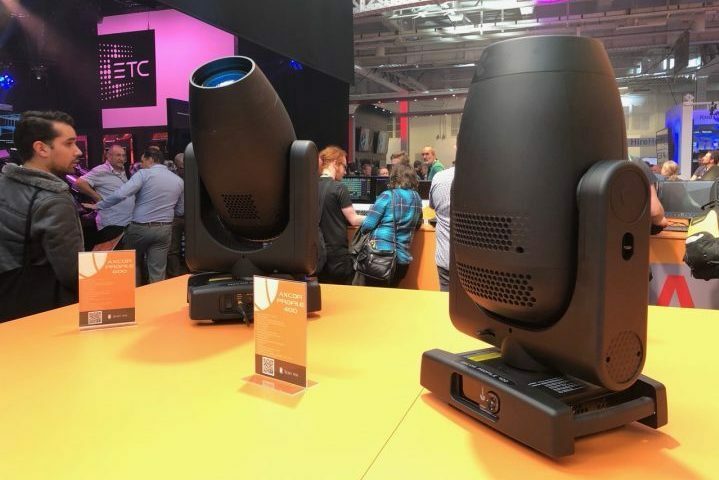 GLP also chose PLASA 2018 to launch a new moving head, with the impression E350 LED. A new, supercharged companion to the S350, E350 is a compact fixture offering flicker free operation, with smooth electronic dimming from 0-100% with multiple dimming curves. 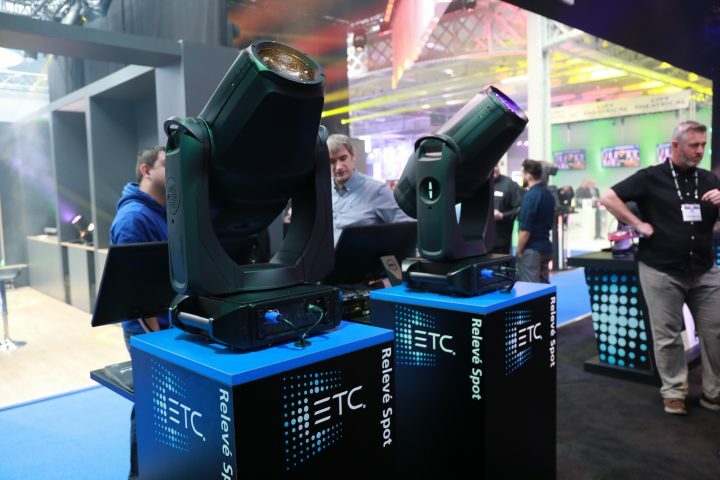 This makes the fixture brilliantly suited to Broadcast and TV studio applications. The fixture has a zoom range of 7- 48 degrees, with a tight 14-blade iris that promises an even and flat field rated at a maximum of 9500lm. CMY colour mixing system is accompanied by a separate CTC Channel and 10-slot colour wheel, as well as frost, 8-facet prism, two gobo wheels and tilt-able animation wheel. The E350 is defined by GLP’s trademark base-less design, giving the fixture a low weight of just 24.5kg. GLP went for a more theatrical approach to their booth design for this year’s PLASA show, with LD Lucy Carter designing a multi-textural show that could be experienced by visitors every 15 minutes. 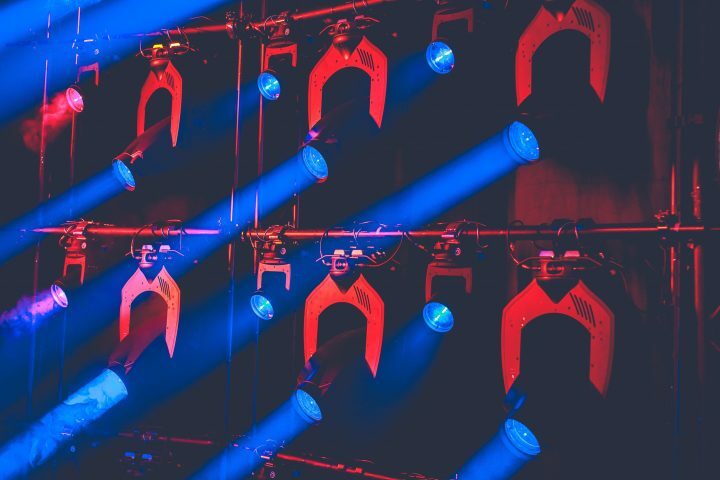 The booth also featured GLP’s unique KNV LED fixtures, KNV Cube and KNV ARC, which we had the pleasure of seeing in action back in May at this year’s Eurovision Song Contest. 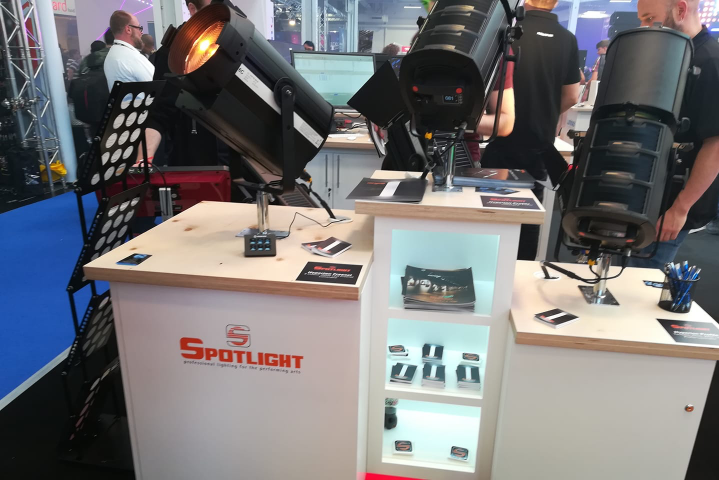 Spotlight first presented their new six-colour fresnel, six-colour profile and warm white fresnel earlier in the year, and have showcased these fixtures at PLASA 2018. Developed in conjunction with the company’s 50th anniversary, the range has been created to fill the requirements of demanding professional applications, in terms of both output quantity and quality. The Hyperion six-colour LED technology take traditional RGB colours and adds amber, cyan and lime in order to produce a wider colour range, as well as a temperature ranging from 2,700K to 8,000K with colour rendering up to 97. There are also Tuneable White and Fixed White versions available. Joining Claypaky’s existing Axcor fixture, the Axcor Profile 900, PLASA brings us the Axcor Profile 400 & Axcor Profile 600. Firstly, we have the Axcor Prolfile 400, built to sit at the top of the industry’s medium event category. 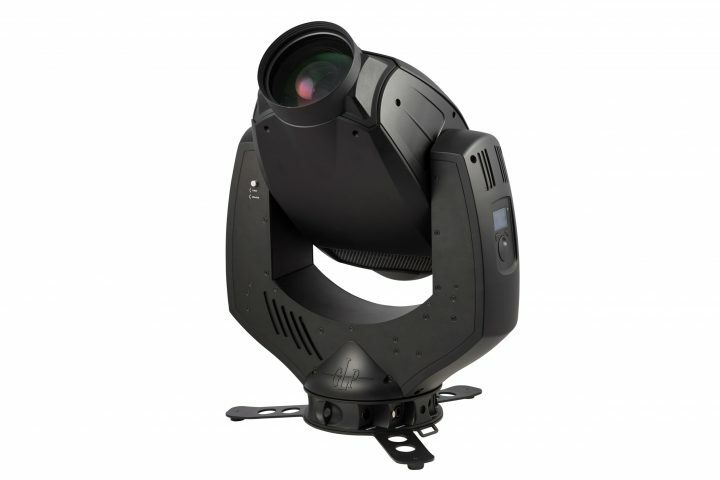 The fixture is powered by a 300W white LED module, and features 6°-42° linear Zoom, CMY+linear CTO+6-color wheel, as well as high-quality effects and animation options. There’s also a framing system, mechanical iris and a 16-bit electronic dimmer, making it well-suited for theatrical uses. 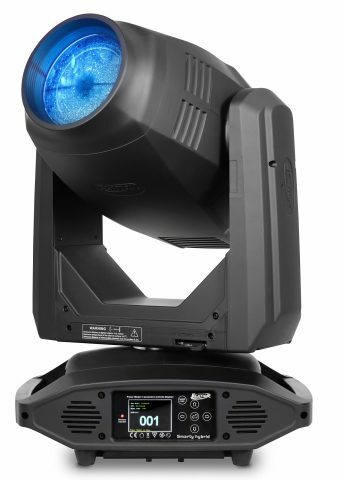 The Axcor Profile 600, on the other hand, is powered by an even brighter 500W LED engine and features an even wider zoom range of 5.3°-47.2°, a ratio of 1:9. Of course, the framing system, mechanical iris and 16-bit dimmer are also present, but the standout feature is a luminous efficiency that is rated amongst the highest in its category. This can even be increased by about 25% if necessary thanks to an available “boost mode”. Designed for high quality applications were precise colour control and the ability to create a wide range of natural colour tones, Relevé Spot features a brightness of up to 6,000 lumens. As well as rotating Gobos, it features an advanced Ani-gobo breakup and effect wheel, which allows for a variety of types of beam breakups as well as spectacular fire, water, and leaf effects. A nice touch to the feature set is the ability to transition between gobos step free, for a smooth transition without interruption. Another feature that is particularly useful for applications were silent operation is a must is Whisper Home. This feature allows the fixture to perform instant pan and tilt calibration/homing at boot, with minimal fixture movement. 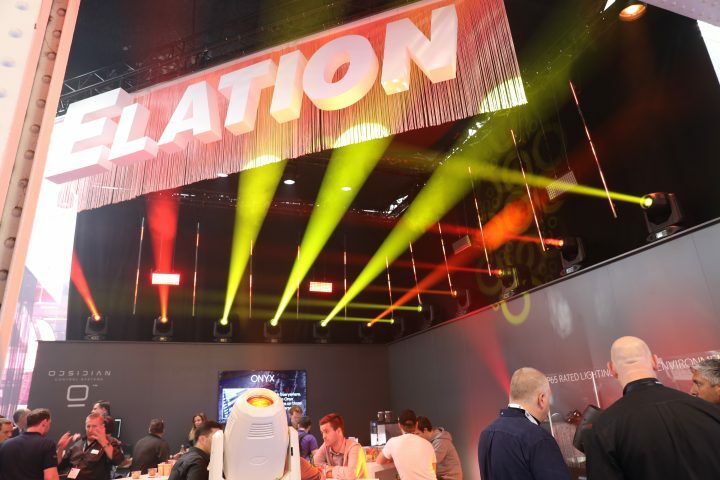 Elation chose PLASA 2018 to showcase Smarty Hybrid™, a full-featured hybrid Spot, Beam and Wash fixture with CMY colour. Smarty Hybrid’s Platinum lamp uses “FLEX” technology, offering a “smartly” designed discharge lamp/ballast package (6,000 hour lamp life) for high output (14,000 lumens) performance at an efficient and affordable price point. The feature set includes motorized zoom, full CMY color mixing, linear CTO, 13 dichroic colors, two gobo wheels and prism overlay. Continued efficiency of the fixture is noq guaranteed, thanks to Elation’s new Ultimate Warranty program, which covers the first two years of operation or 6,000 hours of use, whichever comes first. We also saw the launch of Elation’s new Obsidian Control Systems, a line of advanced, intuitive lighting control products, designed to be accessible in price-point. The Obsidian range run on a new platform known as ONYX, an equally intuitive system that is backwards compatible with all M-Series lighting control products. These desks are exclusively distributed worldwide by Elation Professional. It’s the first time in 10 years that L-Acoustics has held a booth at PLASA, so it’s great to see one of the major audio players making a return to the show. 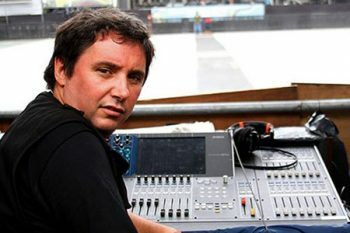 The focus of this year’s booth was L-Acoustics’ L-ISA system, with visitors invited to try their hand at mixing in Immersive Hyperreal Sound on the L-ISA Controller using KLANG:technologies 3D in-ear monitors. 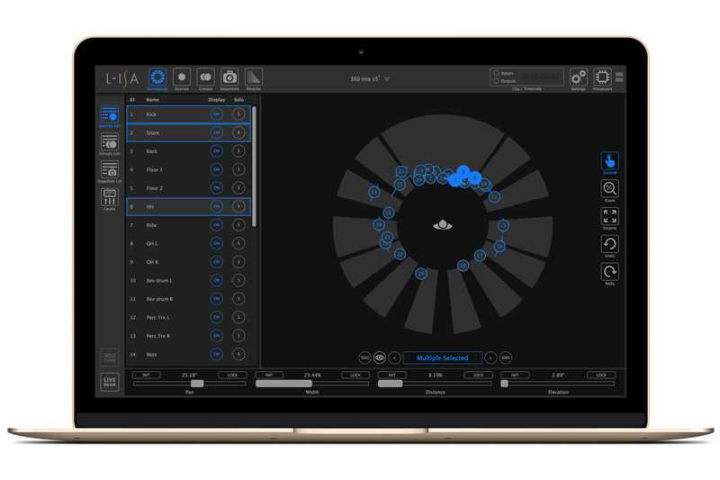 The goal of L‑ISA’s multichannel technology is to help audio professionals deliver a new live experience to audiences of all sizes. This experience is named Hyperreal Sound or Immersive Hyperreal Sound depending upon how the technology is deployed. Allen & Heath was present at PLASA showcasing SQ-7, the company’s new 33 fader flagship console in its 96kHz SQ series. The SQ7 follows in the footsteps of both SQ-5 and SQ-6, utilising the same adds extended control and adding larger format I/O, with 33 faders, 32 onboard preamps, 16 custom soft keys and 8 user-definable soft rotary controls.XCVI 96kHz FPGA engine. 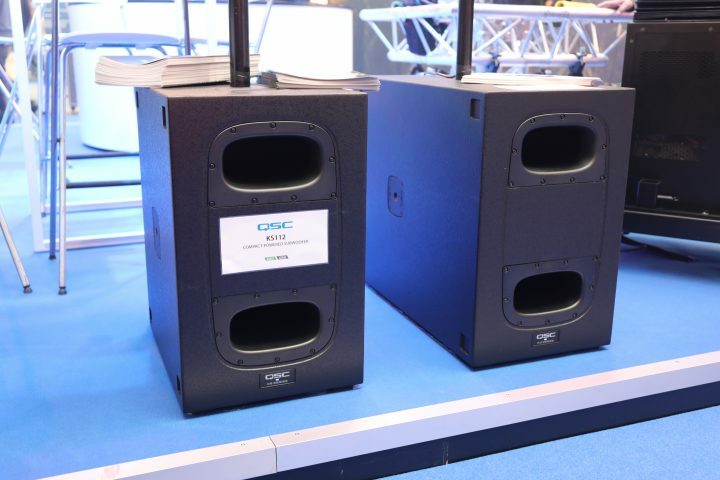 On AED’s stand we found QSC’s recently released KS112 subwoofer, an ultra-compact powered subwoofer. The size of the unit makes it perfect for installation purposes, as well as highly portable entertainment applications such as musicians and mobile DJs. With a single 12-inch bandpass design, and 2000 Watt peak Class D amplifier, KS112 is capable of producing 128dbSPL at 1m. A rugged painted birchwood enclosure ensures lasting durability for the mobile user, whilst a long-excursion driver delivers maximum impact, despite the cabinet’s small footprint. 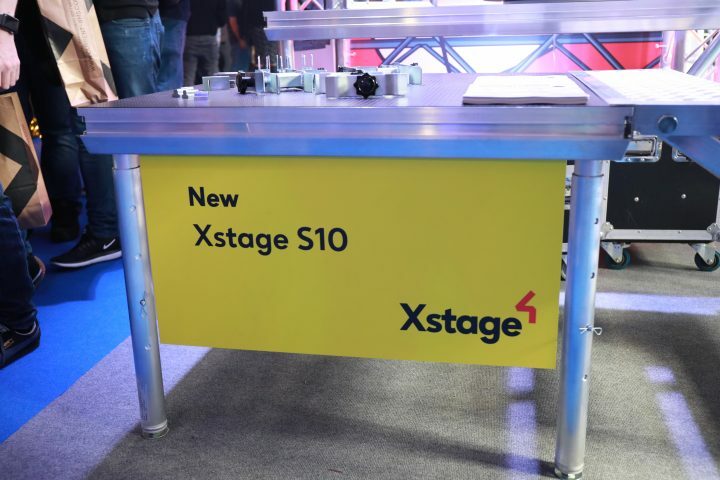 Area Four Industries have delivered an updated version of their popular staging platform, with Xstage S10. The staging has retained its maximum load capacity, but now features a significantly reduced weight, ideal for applications were transportation logistics require close consideration. The staging also features specially designed sockets, which allow for the secure use of either square or round legs. This year’s Plasa Innovation GOLD AWARD -was awarded for LED technology company Astera, for Titan Tube. Billed as the “ultimate film lighting tube for TV, cinema and photography”, Titan Tube is 1m long and optimised for an ultra-high TLCI, a very high CRI and maximum wireless flexibility. Full control is available via Astera’s dedicated control app, with a range of up to 300 metres. The tube weighs in at just 1.35kg, making it an incredibly flexible option for creative applications.